When it comes to the end of the week and when Eric is snuggled in bed, there is nothing I love more than to curl up on the sofa and crack open a bottle of beer. It's something I really look forward to. And now more than ever, I am always really careful about the beer choices I make - it has to be something I'm really going to savour! I first discovered Krombacher Pils in the summer and it has been up there with one of the best I have tried. It's a perfectly-balanced beer with a unpretentious taste that is crisp and refreshing. It's a beer that is ideal for both those who have an appreciation for real ale and for those who enjoy less hoppy options. With a flavour that is ideal for both sunny days and chilly evenings, no matter what the weather is like, it's a beer you can always turn to with a guarantee it won't let you down. And now - just in time for the festive season - Krombacher is now available in 66cl bottles across 400 Morrison stores nationwide. With the release of this new size, Ryan and I headed down to our local branch of Morrisons to investigate, and plan the perfect meal to accompany the flavours of this delicious German beer. 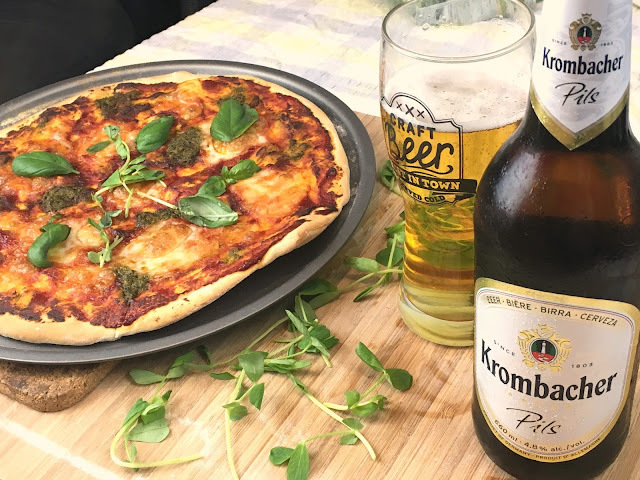 In order to not stifle Krombacher's crisp and fresh finish, we did not want to opt for a dish that carried too rich or intense a flavour. 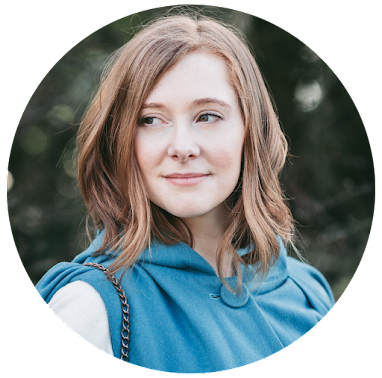 With a well-rounded flavour that cleanses the palate, foods that I was instantly drawn to were seafood, fish or pasta as well as American classics such as burgers or hot dogs. 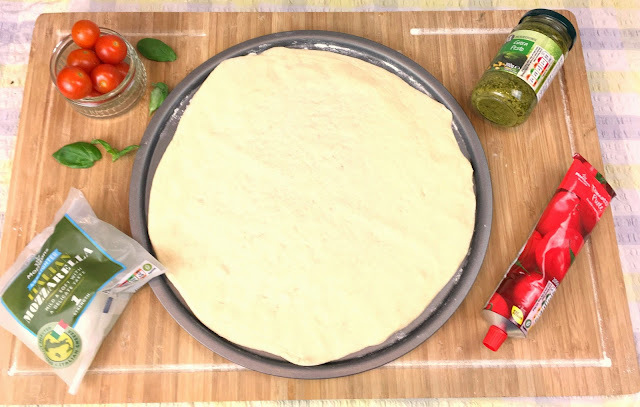 However, because we wanted to make this as fun and fuss-free as possible, we both decided that we would flex our dough-tossing muscles and have a try at making our own pizzas. Deciding to go for a classic, I piled my pizza high with mountains of torn mozzarella, tomato puree, drizzles of pesto and basil leaves. The mellow ingredients and well-balanced flavours of the Krombacher were a match made in heaven. Ryan on the other hand, decided to go for an all-out American BBQ inspired pizza, with Morrison's best smoked streaky bacon layered on top of diced woodland mushrooms, pine nuts, chilli cheddar, mozzarella and pesto with a light dusting of hot smoked paprika. A rich tomato-barbecue sauce made the perfect base, marrying all the ingredients and going hand-in-hand with the refreshing qualities of the beer. 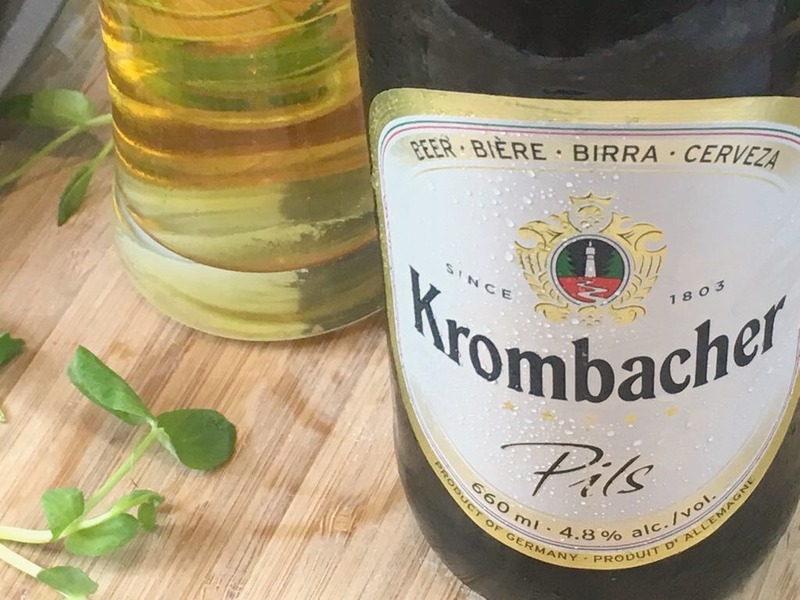 A beer that transcends the seasons to give a full-bodied yet perfectly balanced taste and is ideal to enjoy all year round, Krombacher Pils doesn't pretend to be something it's not. It delivers on flavour whilst still being accessible to all, whether you are a German beer fanatic, or someone who simply enjoys a refreshing tipple at the end of a hard day. And now available at Morrisons in the new 66cl size, it would be a great addition to your dinner table this festive season, whether it's to accompany the roast potatoes or share amongst friends as you cosy up by the fireside. I love making my own pizzas! I'm a huge an of pesto and cherry toms on pizzas right now, I'm borderline obsessed haha! I can't say I'm a beer fan (yet!) but I do keep trying so I'll be sure to give the Krombacher a taste next time I see it! 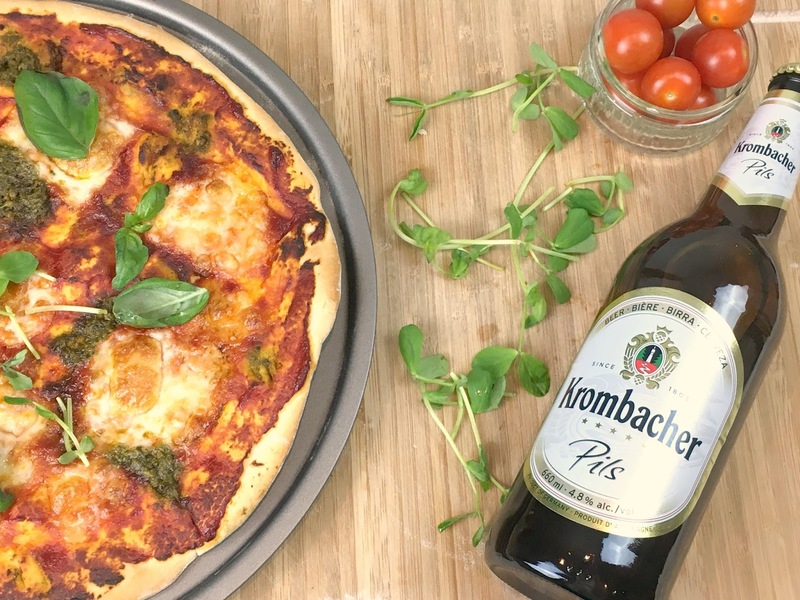 There's something about a classic cheese, tomato and pesto pizza - especially if you make it yourself :) And keep a lookout for the beer too - it's a great introductory one if you're new to it all. Not too intense and rather refreshing too. That pizza looks delicious! :D I have never heard of Krombacher but will definitely look out for it in the shops now I bet my boyfriend would love this too! If you see it it's definitely worth a try. Unpretentious and full of flavour - an absolute crowd pleaser, and so delish as a beer to help you ring in the weekend! Before this post I hadn't made a proper homemade pizza since I was little. It was so much fun and both of the turned out beautifully. Ryan's was particularly tasty (I ended up pinching a slice).